Due to intense vibrations caused by Beijing’s subway, precision instruments worth 400 million yuan ($63 million) at China’s prestigious Peking University have begun to malfunction. According to a April 25 report in the state-run newspaper China Youth Daily, Peking University has precision instruments—used in many of its research departments—worth a total of 1.1 billion yuan ($17o million); nearly one-third of them have been affected by tremors produced by passing Line 4 trains of the nearby Beijing subway, just 100 meters (328 feet) away. The subway line began operating in September 2009. After nearly nine years, the tremors have taken a toll. One electron microscope worth several million yuan has begun displaying blurred images as a result. Lei Jun, director of the Peking University Environmental Vibration Monitoring and Evaluation Laboratory, found that the vibration intensity within 100 meters (328 feet) of the subway was 30 to 100 times higher when trains were passing through. Beijing Jiaotong University, one of the oldest universities in China, located in central Beijing, also measured the vibrations. 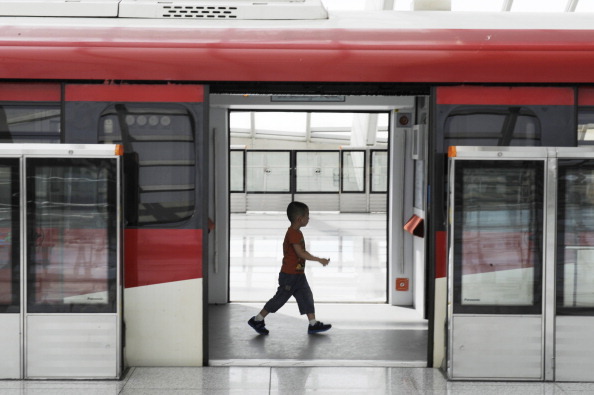 Data from the Track Vibration Reduction and Control Laboratory similarly showed that micro-vibrations within 100 meters from the subway have increased nearly tenfold in the past decade, according to China Youth Daily. Peking University has negotiated with the subway company several times to address the issue. The subway company agreed to building shock absorption tracks, while the university agreed to move some of its instruments to a newer building farther from the subway. However, those measures did not significantly reduce the shock impact on the instruments, according to the report. The report added that the proposed Beijing Subway Line 16, just 2,000 feet away from Peking University’s General Scientific Research Building, will start running in 2019. Tsinghua University, another elite Chinese university, faces a similar problem. The Line 15 subway, which opened in December 2010, runs just 120 meters (393 feet) from the campus and will likely strike a catastrophic blow to the precision instruments there, according to the report. Other top research institutes affected by subway tremors include the Chinese Academy of Sciences, Fudan University, and Nanjing University, according to the report. A total of 985 colleges and universities in China agreed to constructing subways near their campuses, but some have not made public their losses as a result of subway damage, said the report. Hong Ning contributed to this report.